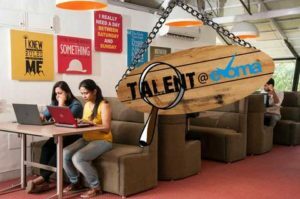 We want you to sign up for the Evoma coworking space in Bangalore. But rather than trying to sell a package to you, I would prefer to pitch the benefits that you would get from coworking. If you are convinced, you can then look at the available options in Bangalore. That’s where I hope you look at Evoma first. So now that we’re clear on what this is all about, here’s a list of the top 10 benefits of cowork office space. For a tech startup, the annual cost of running a full-time office in Bengaluru could range from $25,359 to $30,081, while operating out of cowork office space would save these startups anywhere between 72% to 76% (Knight Frank report). 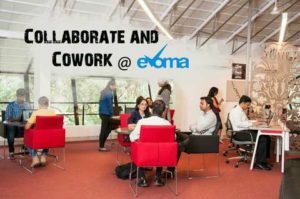 Coworking Spaces like Evoma offer a plethora of networking opportunities. In fact, according to Global Coworking Survey, 61% of startups choose a Coworking Space to grow their network. You can find app developers, SaaS platforms, call centres, biotech startups, branches of large global corporate businesses, and all kinds of strategic partners in the same coworking space. A recent study published by the Harvard Business Review found that working among people doing different jobs may enhance workers’ identity. Running a startup by yourself or even with partners/co-founders is a hard and lonely business. You are cooped up in a small room all by yourself, and this can cause tunnel vision, drop in productivity and all kinds of problems. Placing yourself in a co-working space eliminates this startup loneliness, because you’re working in a culture where all professionals thrive as a tribe. 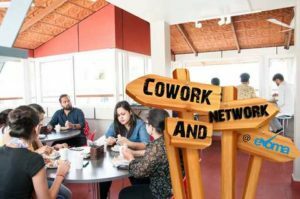 What makes coworking spaces great places to work is socializing with other creative and entrepreneurial people which eventually leads to your innovative breakthrough. According to a study by Deskmag, the number of coworking spaces worldwide increased by a whopping 36% in the last year. Startups in coworking offices are four times more likely to be successful than their competitors outside, and there’s significant data to prove it. Deskmag’s research also shows that coworking boosts productivity. According to this report, 68% of coworkers respondents reported having improved their focus since moving to a coworking space, with 64% claiming that it became easier to complete tasks on deadlines. A full 62% claimed that coworking had improved their standard and quality of work, and 71% had experienced increased creativity. Also, 81% of people who had previously worked from home said that switching to coworking had a positive impact on their levels of productivity as a whole. When multiple coworkers with different areas of expertise collaborate together and pitch to clients jointly, they can complete larger projects which might otherwise not be possible on their own. As a startup, you don’t have the luxury of scaling your office and infrastructure every month, as you grow. Maybe you can do it once in 4-5 years, and that too an cause a huge amount of disruption to your business. But if you are coworking, the space and facilities you want to use are right there, available any time you want. You can scale up on a day’s notice as you get a project, and then scale back down when the project is completed. This ability to scale instantly allows young startups to compete with the big companies with deep pockets and large setups. 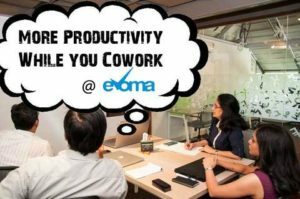 Coworking Spaces like Evoma also offer virtual office benefits where you can have your mails and phone calls directed to our prestigious address. 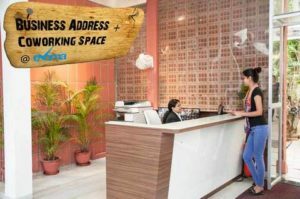 It’s vital to have this combination of coworking spaces with virtual office services, because you’re not going to be there all the time to receive your mail and take calls. 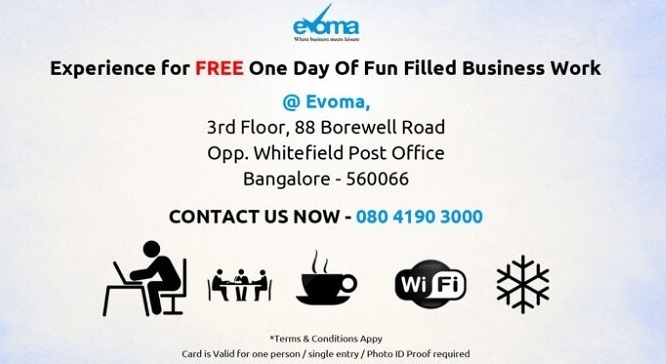 When you sign up to cowork at Evoma, you get a professional Bangalore business address in a prime location without having to pay the huge amount of monthly rental that big companies pay in an address like Whitefield. A nice business address like this also creates a great first impression on your clients and business partners. To sum it up, coworking is changing the way people and organizations work. 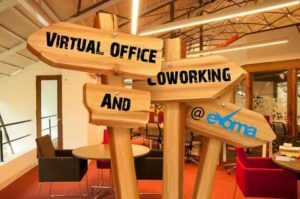 Want to find out more about the benefits of coworking @ Evoma? Experience it for a day – For FREE! Great to know about another co-working space. Being a freelancer it will help me a lot. Sure it will help new entrepreneurs and freelancers to find a good coworking space and grow their business. Thanks for sharing the information. Happy to share what we know, Sai. We are always here to help our members grow and succeed. Do get in touch if you drop by our space.